Considering the fact I like to think of my self as a somewhat skilled gourmand in experiencing the best of the London restaurant scene, it seems slightly ridiculous that I still have never eaten at the famous spot Bao. Even though I have experienced the pillowy perfection of their steamed buns many times from their tiny shack in Netil Yard Market, I have never waited in the famously long queue in Soho to enjoy what I have heard is some of the best food in London. I immediately booked a table when I heard the wunderkinds behind the growing empire (Bao Fitz being its newest addition which recently announced a bookable area. Joy!) 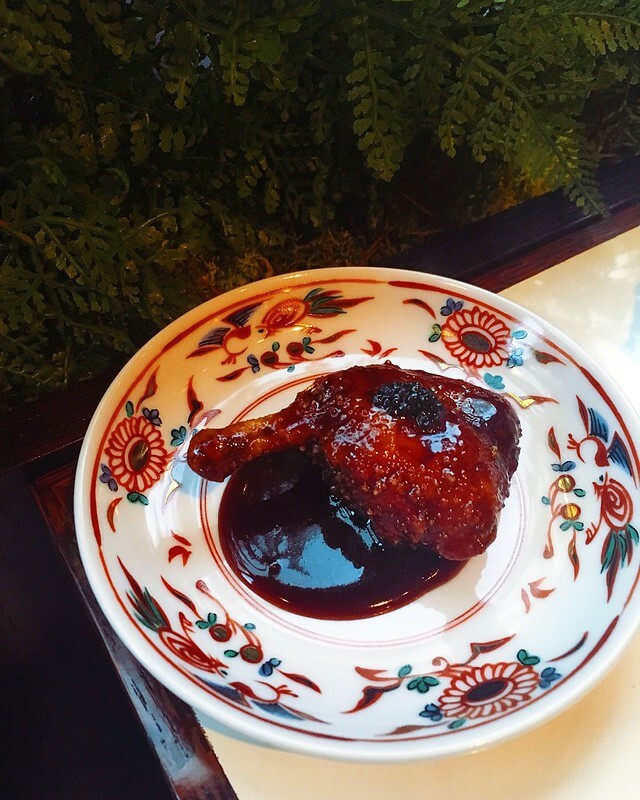 was opening a more upmarket offering, a celebration of Taiwanese cuisine, with reservations and in a setting in Soho designed by the people behind the beautiful Fischer’s (a Wes Anderson interiors dream). The menu at XU (pronounced Shu) is divided in to categories; Xiao Tsai are small snacks or mini starters, Mian Shi are delicious items such as dumplings and cuttlefish toast, there is a selection of classics, mains, vegetables and rice to become overwhelmed in, or like for our meal a few weeks ago you can opt for the set menu at £35. This consists of a couple of tiny snacks, 3 small dishes and your choice of one main per person for the table to share (or keep to yourself.) This is a pretty substantial amount of wonderful food for that price, but being the gluttonous and eagle-eyed man I am, I had already screenshot a few dishes from Instagram I had seen that I needed to try and weren’t on the set menu which together with our wine evidently bumped up are meal to a unfriendly Monday night price. The experience started strong with a deceivingly simple dish. 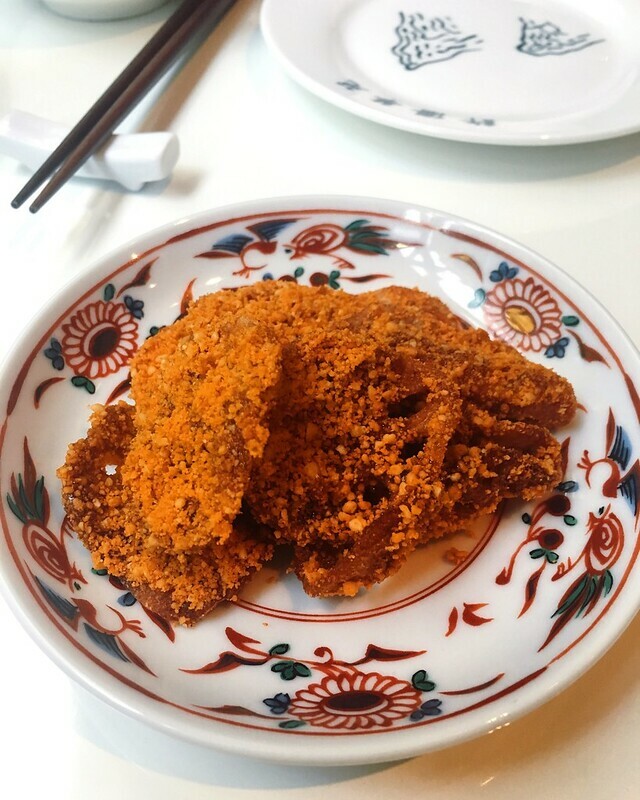 Delicate crispy fried lotus crisps arrived piled on a plate covered in sweet watermelon syrup and dusted with spiced peanut powder. It was only a little snack but quite possibly my favourite dish. I warn you now these are extremely delicious, addictive, and at £2 a pop you may be tempted to order a few more plates. The next snack was chilled clams topped with a chilli and basil ice that where knocked back like shots. 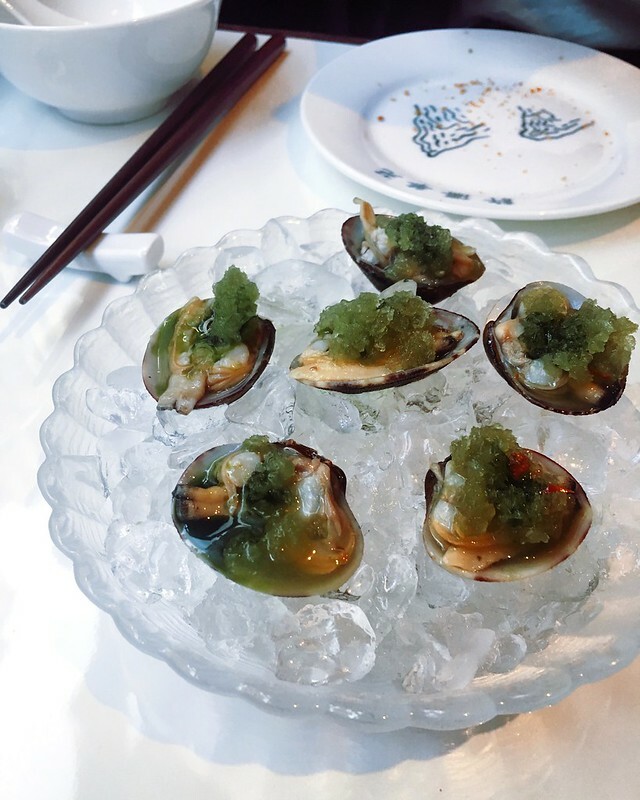 Next the Mian Shi, and out came our two additions to the set menu—a plate of in vogue devilishly black cuttlefish toast with whipped cod roe and Taiwanese sausage taro dumplings which where both lush and unmissable. 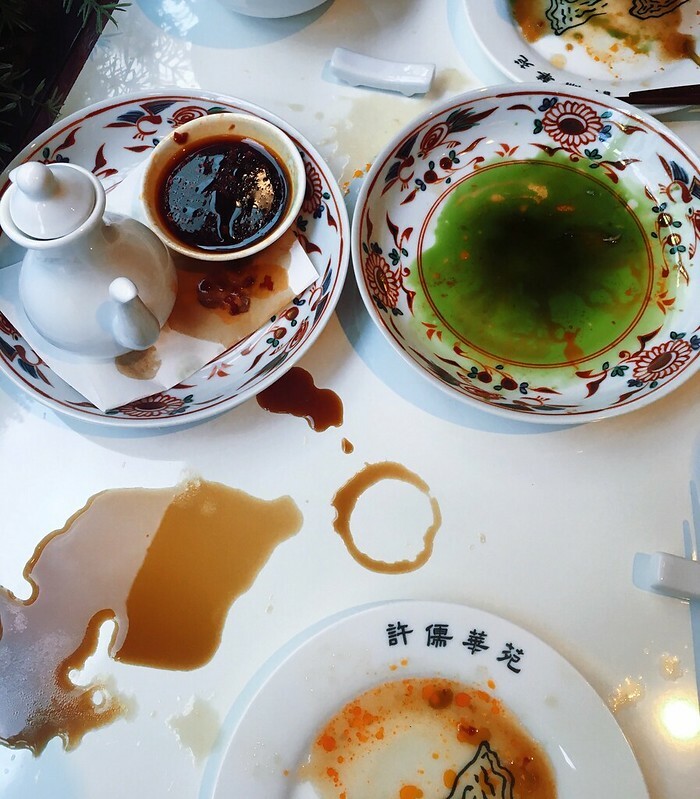 We then bit into our Xian Bing, a pan fried pork pancake which arrived with a warning that they were ‘juicy’, which we dutifully ignored and resulted in a delicious mess. Afterwards, our table needed a bit of a reset and had us looking a little like wild animals. 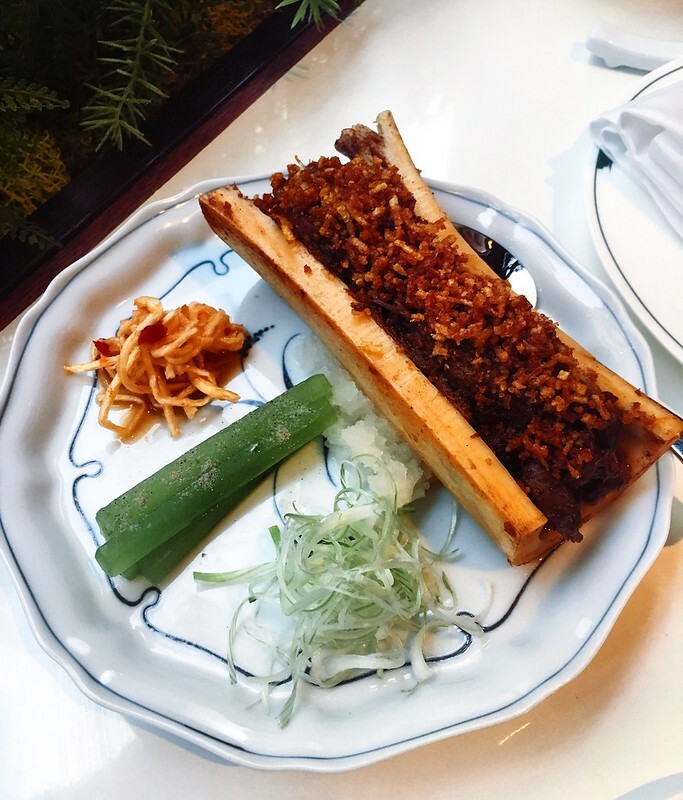 With a clean table, next arrived short rib & bone marrow served with pancakes, pickles and potato crumb like the most fabulously decadent Peking duck you will ever eat. Along with the pancakes, a tiny plate with a single chicken wing arrived for each of us. This was the best chicken wing I’ve maybe ever had, and finger/plate/table licking good. I had to stop my self from demanding more. Then arrived our chosen two mains, a delicious Char sui Iberia pork collar and one fabulous looking Chilli egg drop crab. The crab was the only slightly disappointing dish, but no fault to the wonderful XU but more my slightly poor threshold for spice. 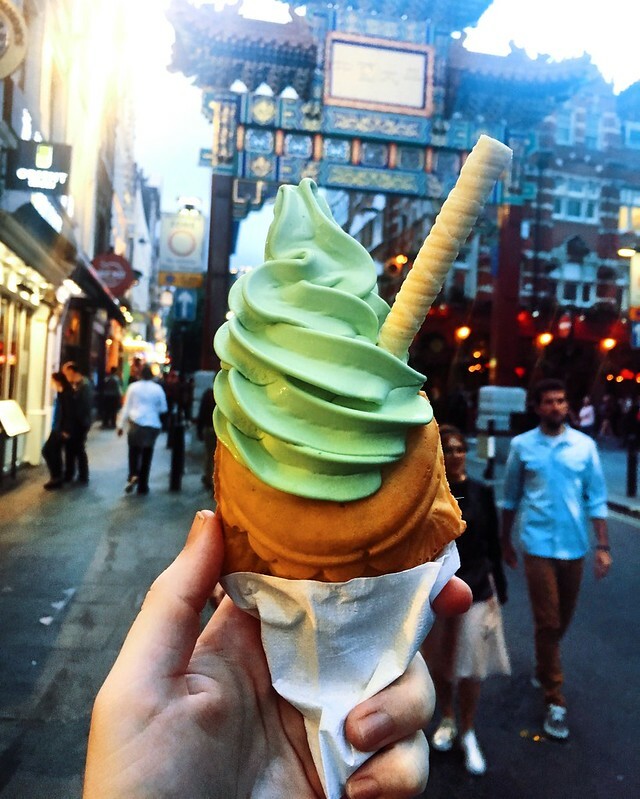 At the time I visited XU there was no desserts, which meant that upon leaving we were enticed by a matcha ice cream in chinatown. However I have seen on their Instagram that there might be a new dessert to try in the form of a delicious looking almond ice cream with sea salt and sesame sauce—one more reason for a prompt return. Apart from the stunning food, what made dinning at XU such a wonderful experience was the really charming service and the masterful cinematic setting of the place. 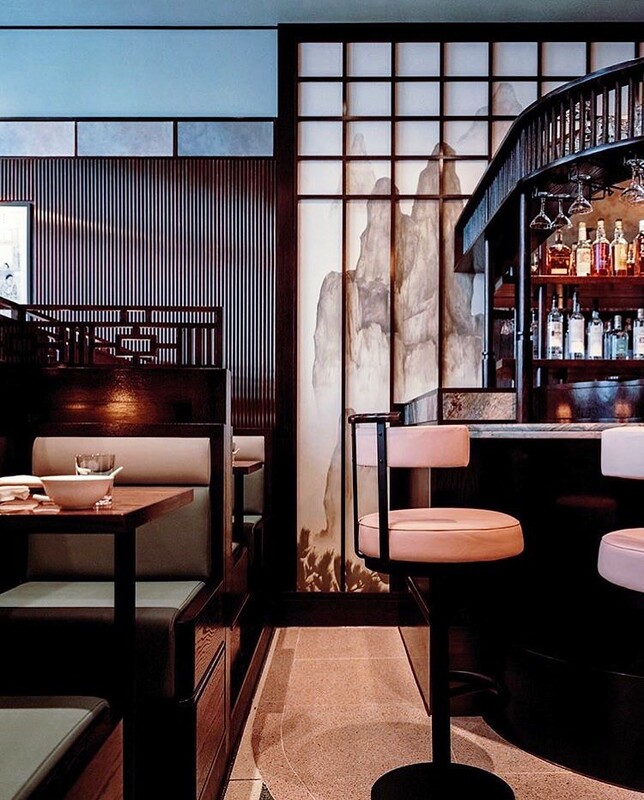 Evocative of some Taiwanese Orient Express with rich wood panelling, carriage like booths, accents of emerald, marble and pink, and with stunning hand painted murals of misty mountains. We ate on our visit in the downstairs tea room, but I must return immediately, if not just for the lotus crisps, but to eat in the upstairs dinning room which is picture below (stolen from XU’s Instagram) in all its pastel glory. 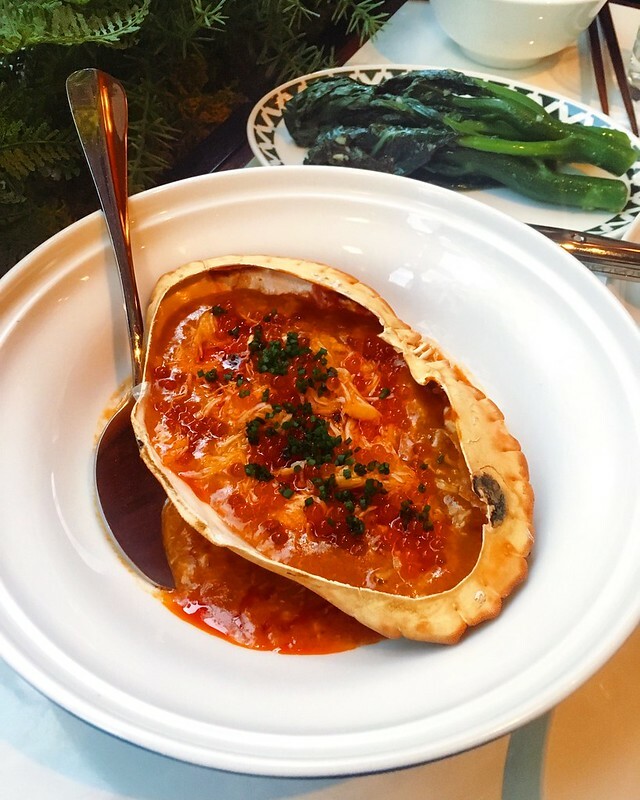 This restaurant has shot to the top of my favourites in London and I can’t bloody wait to go back again and again.